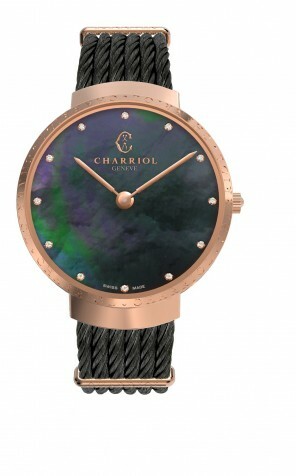 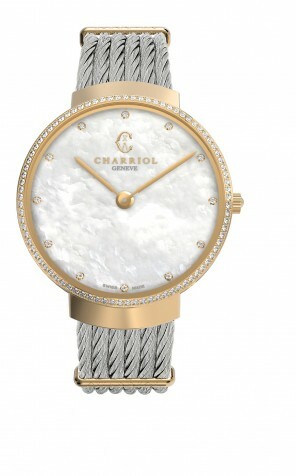 Swiss luxury brand Charriol has launched the Slim collection modern-chic watches for younger audience. 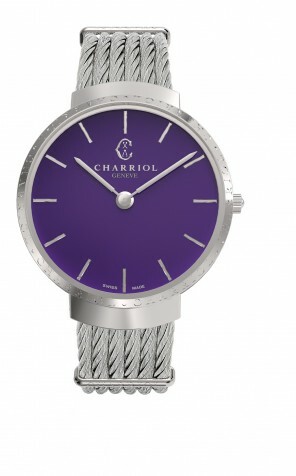 Made of yellow gold or steel, the 34mm wristwatches feature a dainty bezel, a dial made of black MOP, white MOP or a vibrant purple lacquer finish, an open bangle of the brand’s signature twisted cable. The deluxe option comes with a bezel set with 88 white diamonds or rubies and coloured sapphires.